A man of a thousand flows, ATL’s Peewee Longway suits his unique vocal approach to the contours of each instrumental. Emerging from the studio with a versatile, bassy effort, Peewee shares State of the Art, his new album. 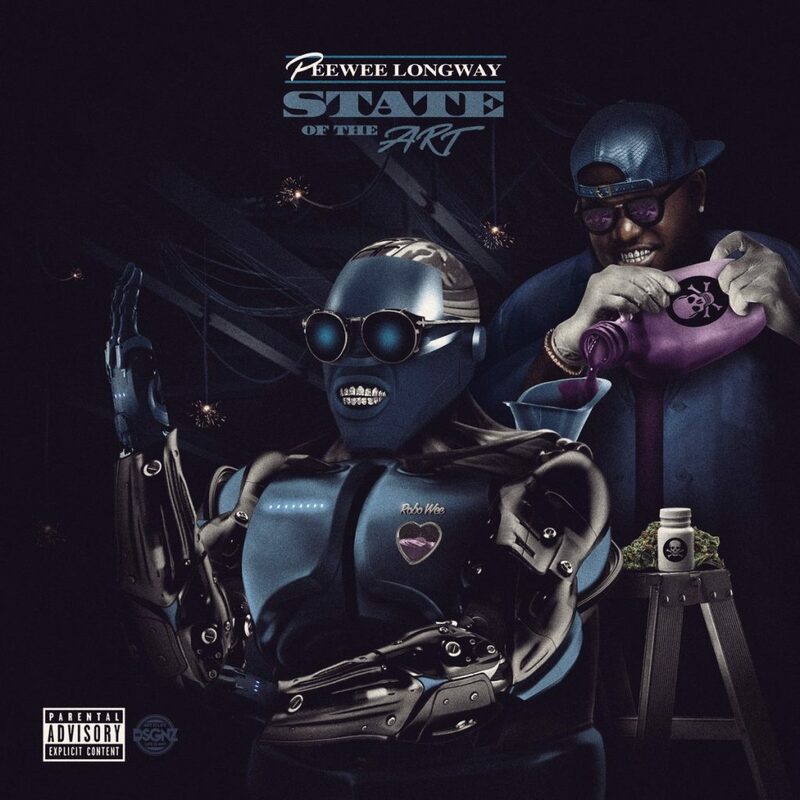 Blessed with a brilliant album cover by the peerless KD Designz, which depicts Peewee creating a lean-powered, robotic version of himself, State of the Art finds the artist making the case for himself as one of trap music’s essential artists. Peewee uses the sonic backdrop of trap music as a canvas on State of the Art, painting his outsized personality and his unique sense of rhythm above rumbling bass and skittering hi-hats. The proper follow-up to Peewee’s 2016 studio debut Mr. Blue Benjamin, State Of The Art is a testament to Peewee’s microphone prowess, offering bouncy piano jams like “Bout It, Bout It,” lurching club bangers like “Shootem Up Bang,” minor-key flexers like “On Dat Freestyle” (2.4 million views on YouTube), drugged-out anthems like “Les Be Real,” and other showcases of Peewee’s flexible flows. Featuring appearances from Gucci Mane, Migos, Plies, Maxo Kream, Young Nudy, and Lo Life Blacc, and with production from Metro Boomin, Mustard, 808 Mafia, Cassius Jay, ATL Jacob, Quay Global, Swaggdot, Cicero On The Beat, and more, State Of The Art arrives via MPA Bandcamp/EMPIRE.